The dedicated staff of the Ohlone Student Health Center is responsible for the planning, implementation, and evaluation of the STEP up Ohlone initiative. We are a tight-knit family who take care of each other and are here to do the same for the Ohlone campus population. Catherine Hayes is the new director of Student Health at Ohlone College. Catherine studied nursing at Georgetown University School of Nursing and Health Sciences before serving as a commissioned officer in the United States Navy Nurse Corps for seven years. In 2010 upon completion of her Masters of Public Health at the Johns Hopkins Bloomberg School of Public Health she accepted a position with the Non-Governmental Organization Doctors Without Borders, and completed emergency humanitarian missions in Sudan, Democratic Republic of Congo, Central African Republic, Syria, and Haiti. In 2014 she relocated to Boston, MA where she worked with the non-profit organization Boston Healthcare for the Homeless Program. Catherine’s professional interests include health equity and health education. At Ohlone College she hopes to expand mental health services, sexual and reproductive health services, and preventative care. Rosemary is a Licensed Marriage, Family Therapist, and Professional Certified Life Coach. Rosemary developed this program and is now in her 15th year at Ohlone College, providing support and services to students. Rosemary has a breadth of experience working with and supporting students, who want to embark on a positive course of personal discovery, overcome blocks to achievement, realize goals and successfully navigate transitions and change. If everything is going great, students may want to see Rosemary for Life Coaching, to help you stay on your course of action and plan for future success. Julie Navarro is a Mental Health Counselor who joined Ohlone in the Fall of 2018. She is passionate about creating a safe, nurturing, and confidential environment to foster connection and change. Julie is committed to the concept of authentic connection, which can lead to a more fulfilled life, and looks forward to continuing to help students achieve this at Ohlone. She is the clinical supervisor for graduate student trainees and interns who are themselves on the journey to become licensed mental health professionals. Julie is also fluent in American Sign Language, and works to provide the most accessible and comfortable communication for counseling sessions. She has spent the past 20 years serving both the hearing and Deaf/HH communities in both the Social Work and Mental Health field. She obtained her Masters in Social Work from SFSU in 2001, and her Licensed Clinical Social Worker in 2009. When she isn’t at work, she is a busy mom of two teen boys, who play a variety of sports! She enjoys travel, swimming, hiking, reading, playing games, yoga and her mindfulness practice. Janet has been the Office Manager at Ohlone College Student Health Center since 1998. As the first contact for most students who walk through the door, she is responsible for ensuring that our operations run smoothly and students are able to been seen for health care services in a timely manner. Janet was part of the first graduating class of Evergreen Valley College in San Jose where she majored in Speech Pathology. She enjoys working at Ohlone and witnessing the growth of students, especially as they matriculate to 4 year universities and pursue their career goals. Janet is the proud mother of 5 children, several of whom attended Ohlone College, and an even prouder grandmother of five. Jessica has been the Medical Assistant/ Birth control Counselor/ HIV tester at Ohlone Student Health Center since 2004. She works at both the Fremont and Newark campuses. Working Front and back office duties. She loves to help Ohlone students and staff with any questions regarding the Health Center. Jessica received her Medical Assistant Certificate with ABCi: American Business College International in 2003. She Received a Family planning Basics Certificate with Center for Training in 2008. She also received a Certificate with dealing with difficult people in 2016. She received a certificate for Mental First Aid 2016. She is also a Mother of three and is very busy when she is not working. She plays Coed Soccer with her Spouse and her boys play soccer as well. On the weekend they are usually on the soccer fields or spending time with family and friends. 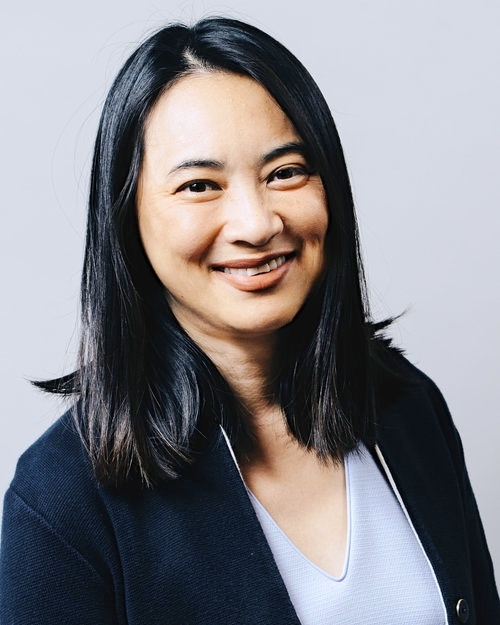 Sang is the Project Director for STEP Up Ohlone Mental Health Program where she oversees the planning, implementation, and evaluation of the program. She started her tenure at the Ohlone Student Health Center in 1999, and in the last 19 years has held several roles leading health education and research activities. Her work in institutions of higher education spans five campuses in Northern and Southern California, serving as faculty and in student affairs roles. She holds two graduate degrees (MPH, DrPH) in public health. Sang is a marathon runner and enjoys traveling, reading, and getting her daily dose of Coffee Bean and Tea Leaf. Roger is a Bay Area native with a passion for helping the underserved. He graduated from California State University, Fullerton with honors and subsequently earned a Masters in Social Work from the University of Southern California. Roger is passionate about mental health and wellness, and enjoys staying grounded in the work by helping others live their best lives. In his spare time, Roger enjoys rock climbing, cooking, and traveling. Kelly Bui is an emerging public health professional committed to school and adolescent health for over 5 years. She is excited to work with Ohlone College because she herself attended Ohlone College as a student after high school for three years. She feels of great appreciation for all Ohlone has given her. During her free time, she loves to be surrounded by friends and family as much as she can and enjoys tons of movies. Click here to check out all former STEP Up staff!